Here we will show you how to create your own website with WordPress. Almost everyone today has created a website or is managing one through the use of WordPress thus making WordPress the most popular tool for such endeavors. Even if you are a newbie, there is no need to worry when it comes to the WordPress platform. There is no need for coding or skills in designing. 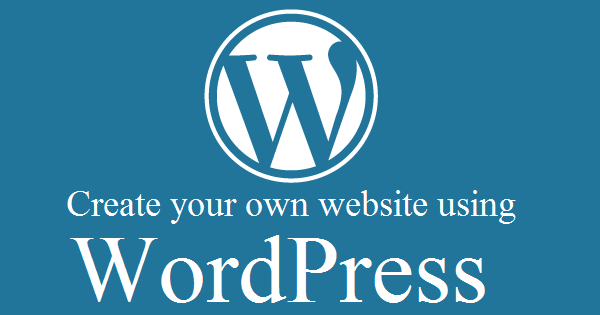 You can easily create your own website with WordPress. WordPress is made for people just like you, once you have created your hosting account you will be able to choose from several thousand free and premium WordPress themes to get the look and feel that you want. And choosing your new theme is easy a few clicks and your new theme is live on your website. No coding knowledge required, like I said if you want to create your own website WordPress and don’t know where to start WordPress is made for you. The WordPress platform does not run on desktop software but rather it runs online or in the cloud. You do not need to install any software on to your computer and neither do you need special kind of tools. The platform is also flexible in that you can update your site from any location so long as you have a good internet connection and have your username and password. You can even do so from your smart phone. The other thing is that WordPress is free to use and modify so if you already know how to play with codes, then you can as well make WordPress your playing ground and make it do whatever it is that you can imagine. This is where I started. Now I can create my own themes and edit themes to what ever I want. The other thing about WordPress is that it is portable meaning that you can get your site hosted anywhere. This means that if you are having problems with your current hosting provider, you can sign up to a new hosting provider and they will move your complete site over to their hosting. This cannot be done using other website builders such as Wix. When it comes to hosting your WordPress site, then you can do this in several ways. Find a web hosting company that has WordPress on their cPannel sign up and download and install WordPress most hosting company’s include a free domain name when you sign up. You should also be ready to part with a small fee if you want the site to use your own domain name and not the free domain supplied by the hosting provider. You will have to register your domain name at a domain registrar like GoDaddy. It is no wonder that twenty two per cent of all websites globally are created with WordPress. Many big names have also done so including Rolling Stones. Check out the showcase and get some inspiration of your own. So now that you know exactly what WordPress is all about, it is now time to know what it can do for your business website. If you require any help contact me before you sign up to hosting and I will save you money and download and install WordPress for free on your hosting account. Why would I do this? I get a small commission from the hosting company I set you up on so I don’t mind as I am helping you for free and get paid by the hosting company not you. Contact me to find out more. Everything about WordPress can be summed up easily. It is easy to create your own website with WordPress. No technical or web design knowledge is required to run and update your site. There is no need for an expert. You may find the below articles helpful. All you need is a computer that’s connected to the internet, a topic that you have a bit of knowledge and passion for. A few dollars a month for web hosting and WordPress, to start building your own WordPress website. Initially, WordPress was for blogging but now it has fully evolved to a site management system. This means that you can use it for your website and blog. As you can see on our site we have pages and then blog posts. It all depends on your preference. 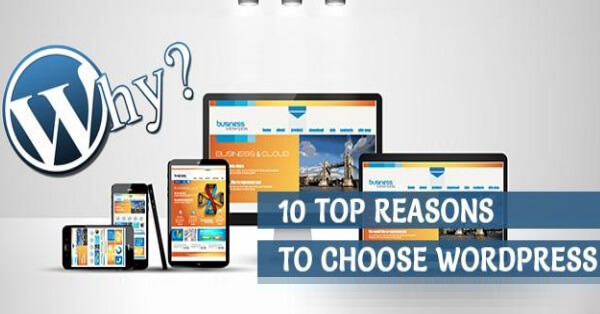 Everything you need to create a website that works is at your finger tips. There are good number of professionally designed themes for you to work with and they are free. You are now able to have a professional site without consulting a professional thus saving time and money. How many themes are at your disposal at no fee? There are thousands of free themes to choose from. You can also get professional designed themes that have lots more features all built into the theme. Those you will have to buy from commercial sites like StudioPress and Theme Forest. You can even edit the codes in the themes, from your WordPress dashboard you can get to any part of your theme codes. What is a WordPress Plugin? WordPress Plugins are a piece of software designed by experts that can be uploaded and installed in your WordPress site to give your site extra functions. For example if the theme you are using does not have slideshow you could look for a slideshow plugin. Upload it and activate the slideshow plugin and presto your theme now has a slideshow that you can use to add your pictures on. Free Plugins for WordPress – There are literally thousands of free WordPress Plugins that have been created by developers to help you create your own website with the look and feel you want. New free plugins are developed all the time. Paid Plugins for WordPress – Developers have also developed WordPress plugins that you have to pay for. A lot of work and time has gone into the development so the developers ask for a small payment. If you required a feature on your website you would have to pay a developer anyway so why not pay for a plugin that has that feature. With WordPress, you are able to add all the complicated business features without hiring a coder thus increasing the functionality of your site. The design of WordPress is with extension in mind thus the availability of many free and payed plugins when you are creating your own website will give you those extra features. What is search engine friendly? When you use a website platform it should be designed to be search engine friendly. This means that once you have published your site there will be no scripts or codes that block the search engine robots and spiders. The search engine robots and spiders will be able to move around your site with ease. If the search engine spiders can discover and read the content then they will index it on their search engines. WordPress software is built for search engines, once you create a new post or page your sitemap will ping Google, Yahoo and other search engines. When those search engines are pinged they will send spiders to that page to discover what the page is all about. Then return with the info and index that page on the web. If you have your title, description, heading tags and main content on the page done well those search engine spiders will index your page for the keyword phrases it finds in the top search results, resulting in a very busy site. WordPress does come with a SEO plugin from Yoast, that makes it even friendlier in terms of SEO. Please enable the sitemap in your setting and fill in the title and description tag on each new page and post you create. This will help to tell search engines what the page is about. Due to the fact it is easy to use and has a large number of themes and plugins to improve functionality, WordPress is the most popular system for web publishing. It accounts for twenty two percent of all sites. I wanted to create a website for my business and was not sure where to start. A friend suggested that I learn how to create my own website with WordPress. Wow I’m truly amazed how easy it all is, I don’t need to know coding the HTML editor does it all. From the look and feel to adding content its great. I make cakes for all occasions and wanted to sell cakes online. Let me tell you I found WordPress easy to use and price effective. I now have my own online store, update it by myself when I want its great. No web guy I am the web Girl (lol). If you are thinking about creating your own website, start with WordPress you will love it. Since there are many users using the WordPress platform, there is a large community that supports one another and exchange ideas thus improving your WordPress experience. You can connect with them in the official forum or WordCamp events. WordPress is a mobile friendly platform. What’s mobile friendly you ask – A website that is mobile friendly means that no matter what device your website is viewed on it will look great. The website will adapt no matter what the screen size. Do not assume that most of your customers are accessing your site via their laptops or computers. The Google mobile friendly algorithm is here since they discovered the explosion of mobile phones on the internet. If your site is not mobile friendly then users will easily skip it. The design of the platforms dashboard enables it to work well on smartphones just as it would on a desktop thus helps you manage your site from anywhere. The test is in the taste so to say. If you make a cake and its not right you keep trying until its perfect. Then keep that recipe. WordPress and been built with this in mind. WordPress is open source this means you have a bunch of web developers always improving it, and it does not cost you $1.00. You are actually working with something others have tried and tested and found to be effective and efficient. It just doesn’t get any better than WordPress! WordPress does not contain commercial limitations or restrictions and this is something that you will find in the rest of web publishing sites. You are free to use WordPress software any way you choose and host your WordPress website any where you want. There is no fear that moving will have an adverse effect on your site. When you choose to work with WordPress to create your site, then you have chosen to have more control over your site and this should be the ultimate reason why you settle for it. If you are ready to learn how to create your own website with WordPress, we recommend you click here once your site is set up and published then contact Ranking By SEO. He specialize in link building and other SEO related activities. You can also find him on Twitter, Google+.